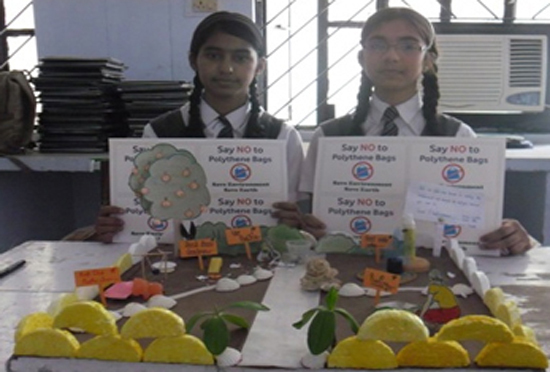 Aliganj1campus students celebrated World Environment Day with much enthusiasm. 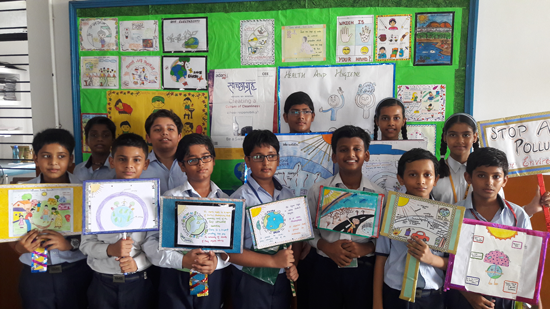 Under the guidance of our Environment Coordinator ,Mr Kailash Keswani they prepared caps,collages ,charts & decorated the soft boards . 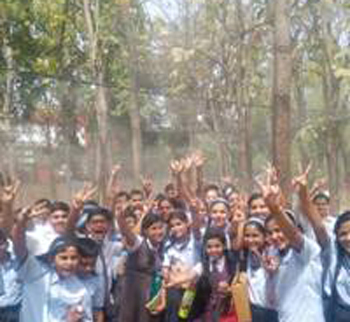 Aliganj1campus students celebrated World Environment Day with much enthusiasm. 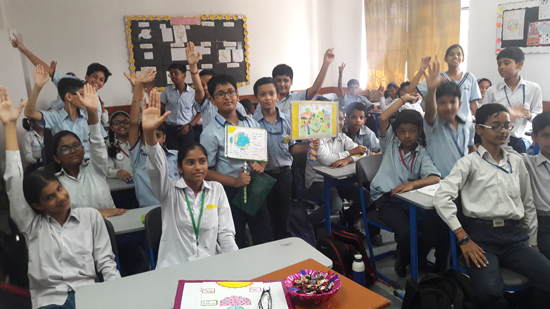 Under the guidance of our Environment Coordinator ,Mr Kailash Keswani they prepared caps,collages ,charts & decorated the soft boards . 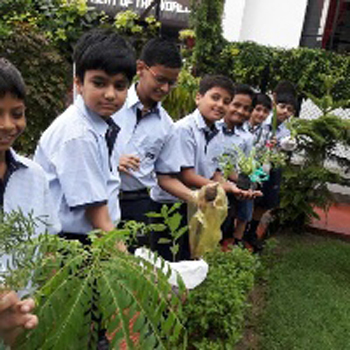 The awareness to follow & carry forward the noble mission of Environment conservation was spread amongst not only the staff & students but also among the people staying in the neighbourhood . We pledge to save our Mother Earth & conserve its resources! Aliganj I wins 65 gold medals in Natural Olympiad! This is to inform you that 65 students of Aliganj1 campus have won Gold medals in Saevus Natural Capital Olympiad, 2017 under the expert guidance of Mr.Kailash Keswani. 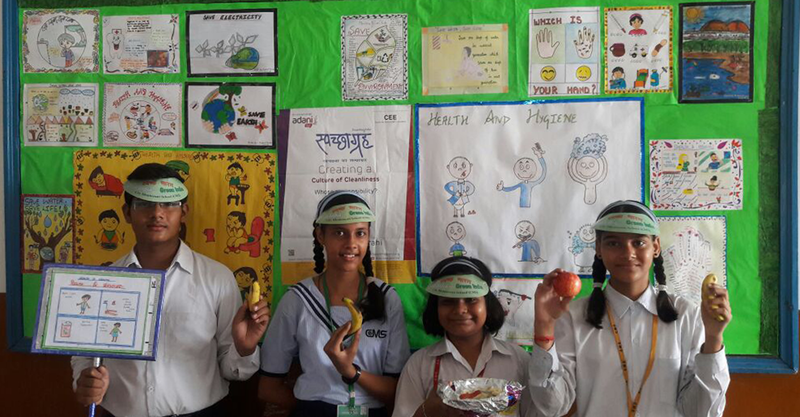 Our Green Ambassadors are going out of their way to conserve our natural resources & save Mother Nature. 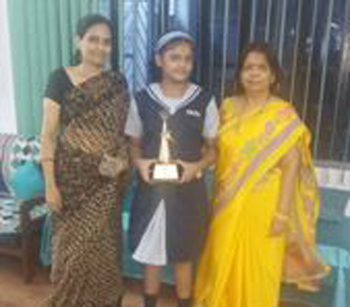 Sonakshi of Aliganj 1 presented a trophy in a quiz contest! 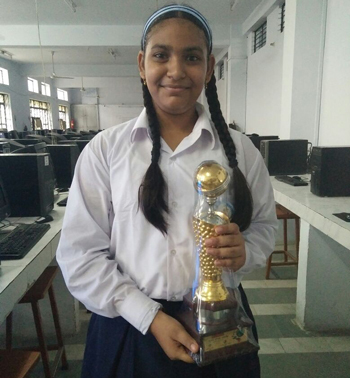 Sonakshi Gupta of class 8F of Aliganj 1campus participated in the quiz contest held as a part of the Underground Water Conservation week organised at the Regional Science Centre from 16 th-22nd July,2017 & was presented a trophy for her commendable performance! Umam of Aliganj Campus I bags a gold! 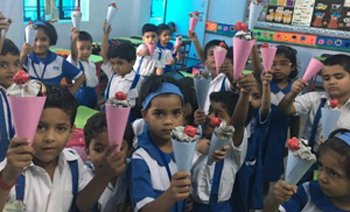 The staff & students of Aliganj I celebrated VAN MAHOTSAVA in a big way! 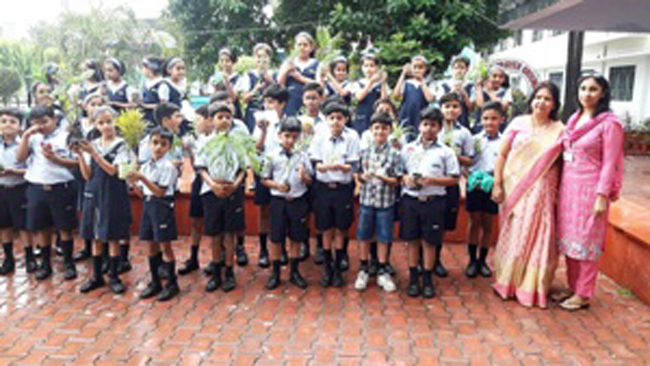 The children planted saplings & encouraged everyone to carry forward the noble mission! Umam Ahmad of Class 5H of Aliganj 1 campus has bagged a gold in Chitrakala Drawing Contest.The event was organised by Reserve Bank of India on 5th June,2017 at RBI Staff Quarters ,Aliganj.The topic given was "Save Environment "
The preprimary students;class KG of Aliganj 1 campus turned artists & became adept at paper folding & colouring .They made paper cones & icecreams. The craft work was thoroughly enjoyed by All ! Aliganj campus I students witness an exhibition! 60 students of class 8 witnessed an exhibition in the Regional Science Centre with their Teacher incharge; Mr.Kailash Keswani. The exhibition was organised by Seeds of Hope. 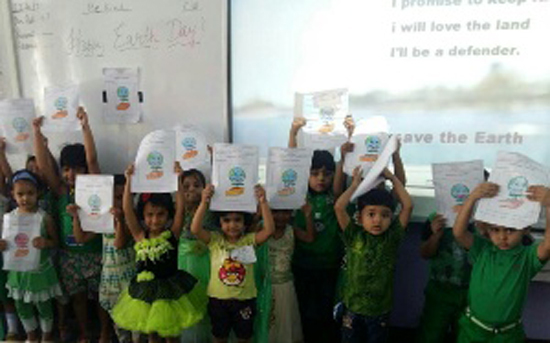 The preprimary kids of Aliganj1 campus participated in colouring /painting ,Palm printing,singing etc on Earth day.Wearing innumerable green shades ;the kids thoroughly enjoyed the activities. They pledged to conserve Our Planet. Aliganj 1 campus students secure the 3rd position in GK Quiz. The Hindu in collaboration with Camlin organised a GK Quiz at CMS,LDA branch.Aliganj 1 campus students won the 3rd prize in the Junior category. 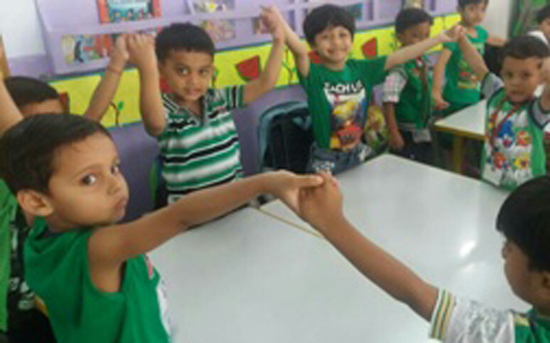 The teacher-in charge was Mr.Kailash Keswani. 80 students participated in the Groundwater week. 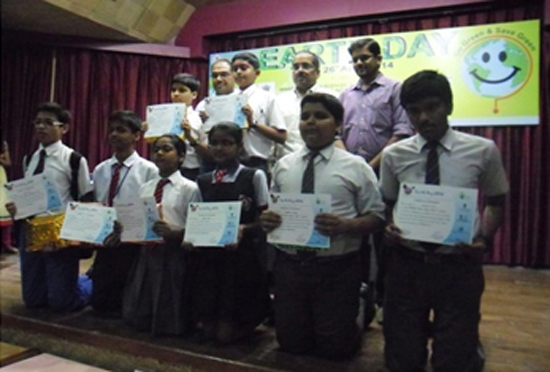 Earth day celebrated at Regional Science Centre for Environmental Education. 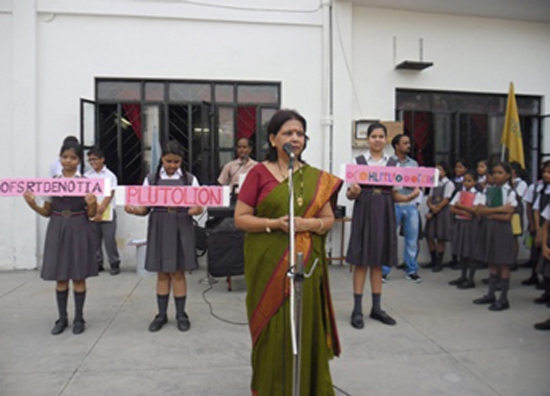 Messages on saving environment were given by the students during assembly.